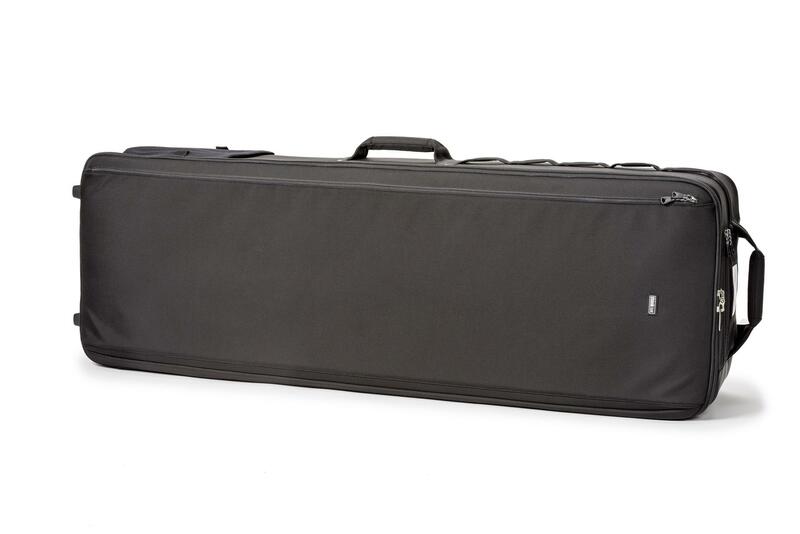 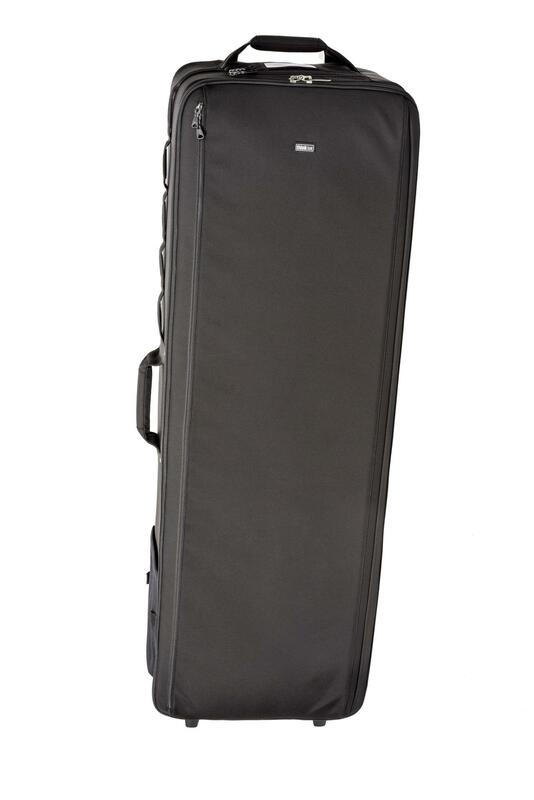 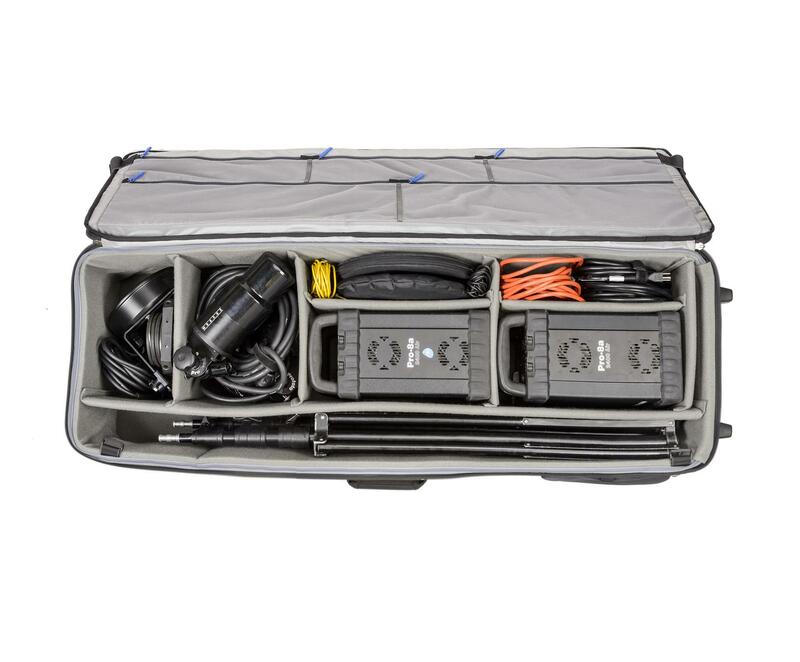 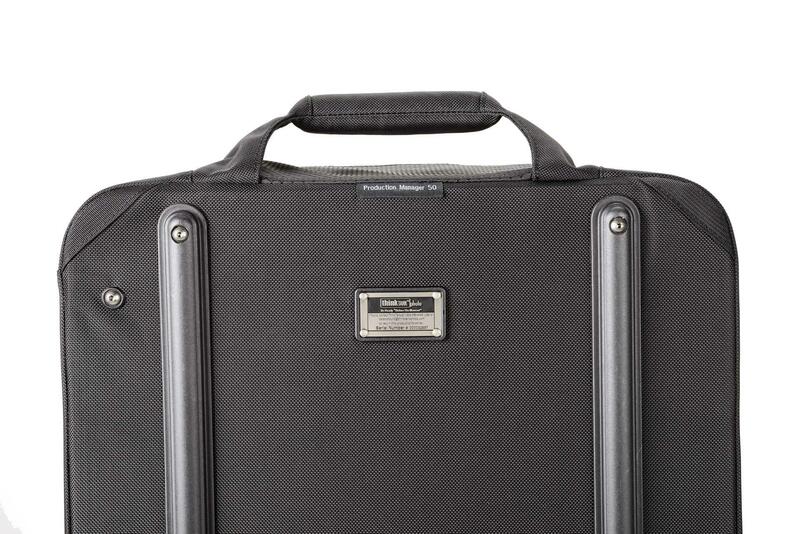 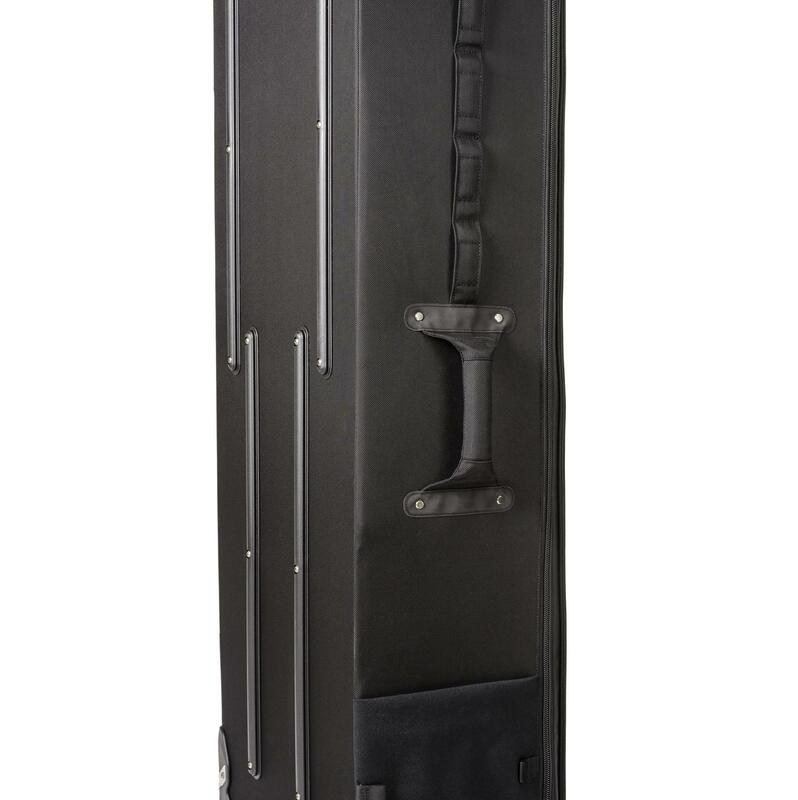 The Production Manager 50 is a professional strength, high capacity rolling gear case, design for professionals, to aid the logistics of transporting large amounts of lighting equipment or camera gear. 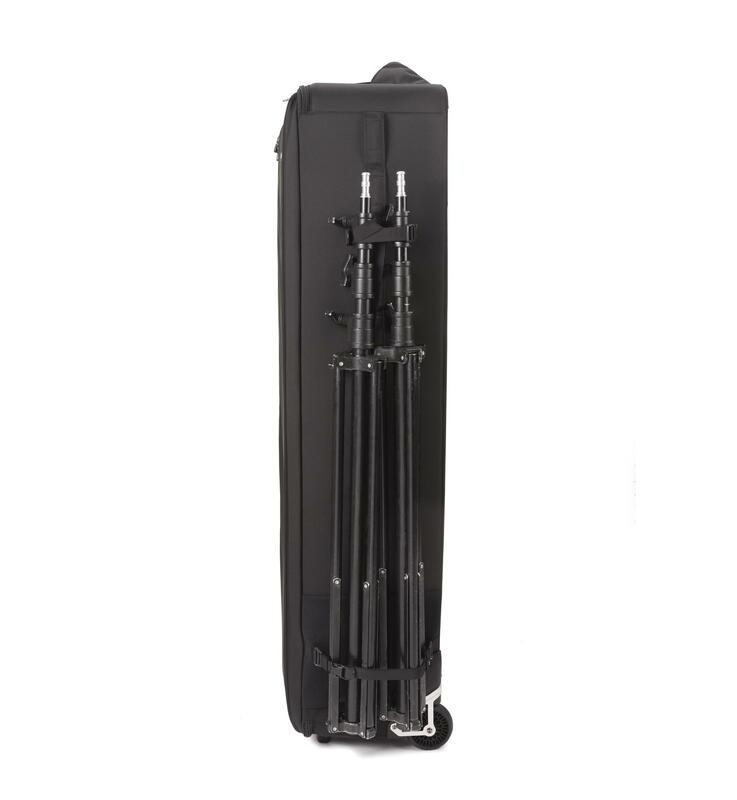 It is the most convenient way to safely transport a large amount of lighting equipments. 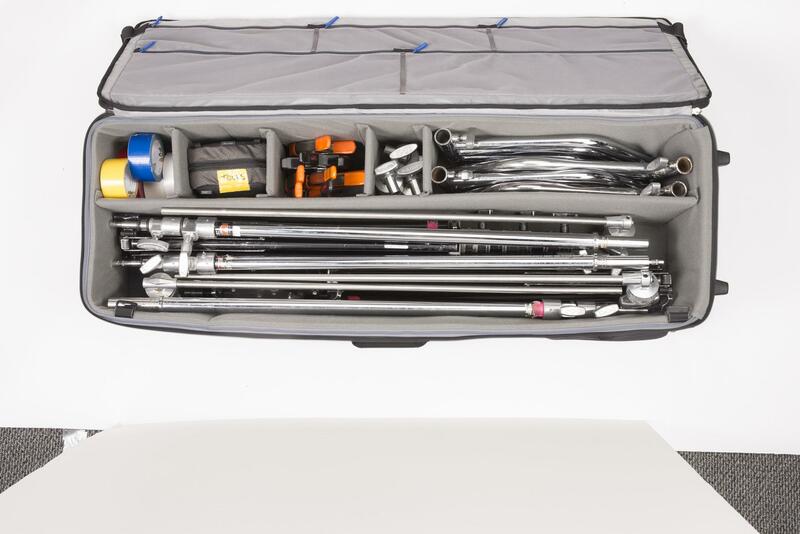 The superior design of this large roller offers room for multiple flash heads, power packs, monoblocks, softboxes, light-stands, and even some LED lighting will fit. 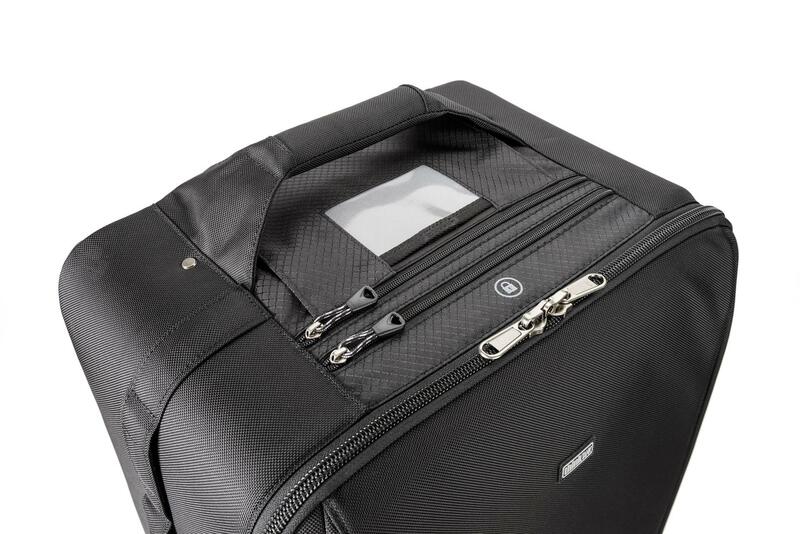 The spacious, gusseted front pocket fits reflectors, umbrellas, cables and more. 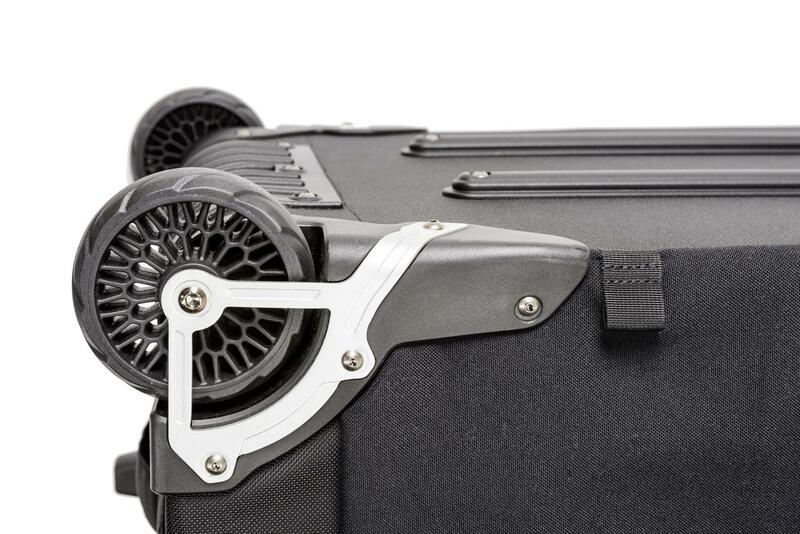 The wide set wheels minimise tipping and the reinforced honeycomb panels are wrapped in ballistic nylon with full length exterior slide rails for protection in transport. 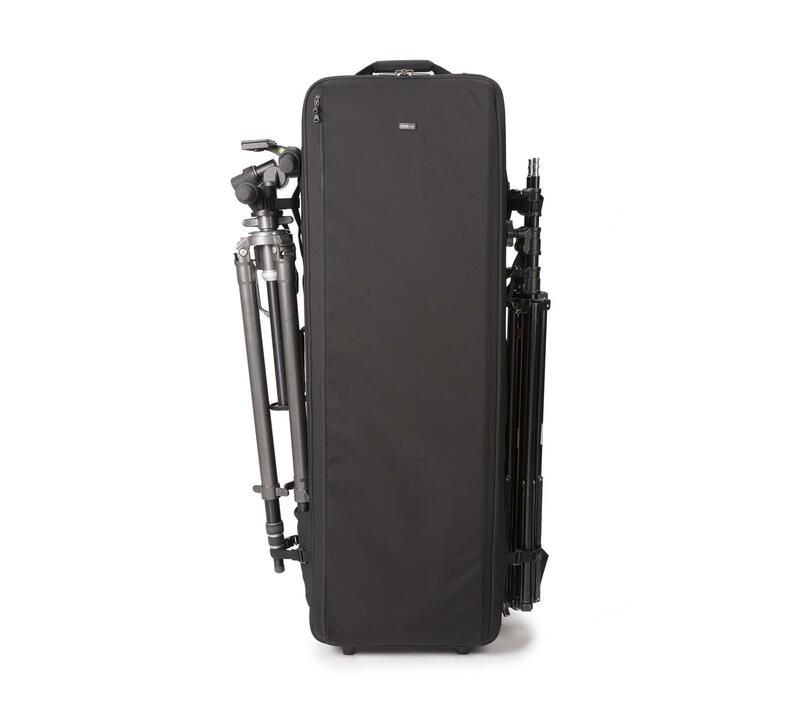 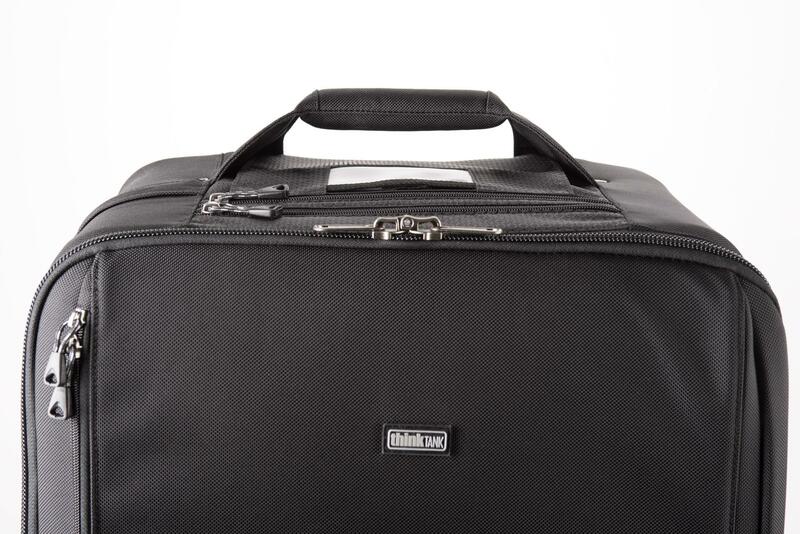 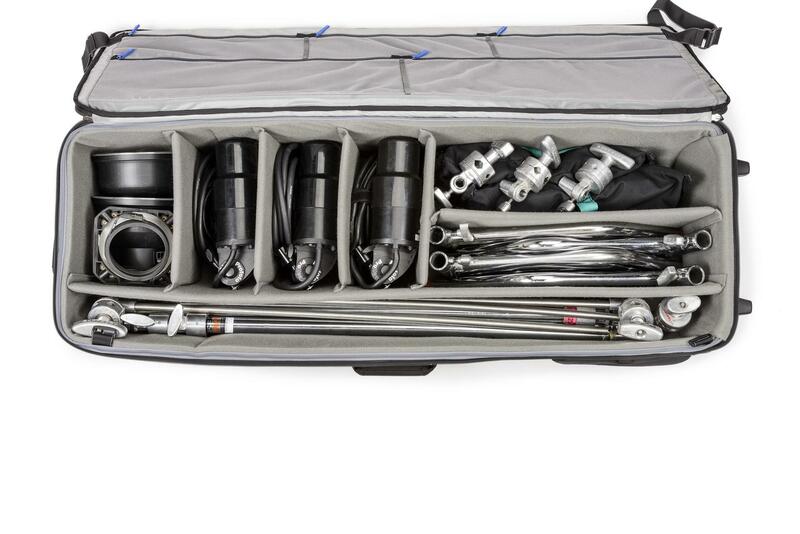 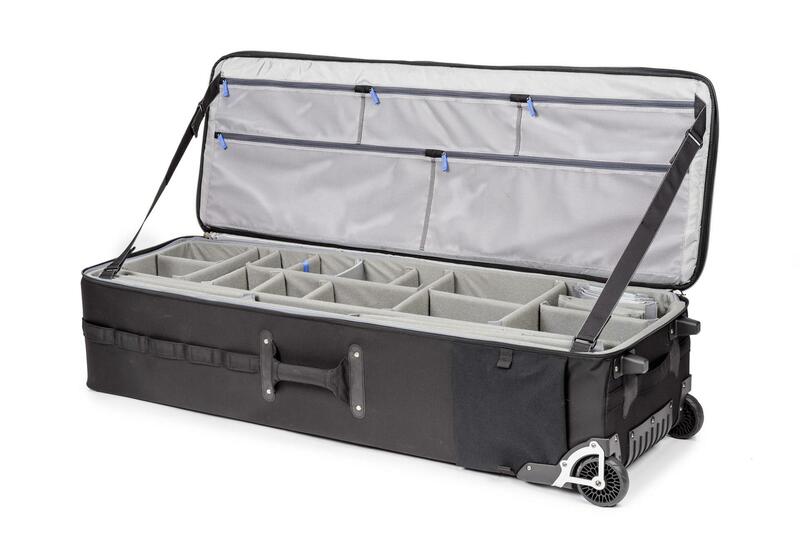 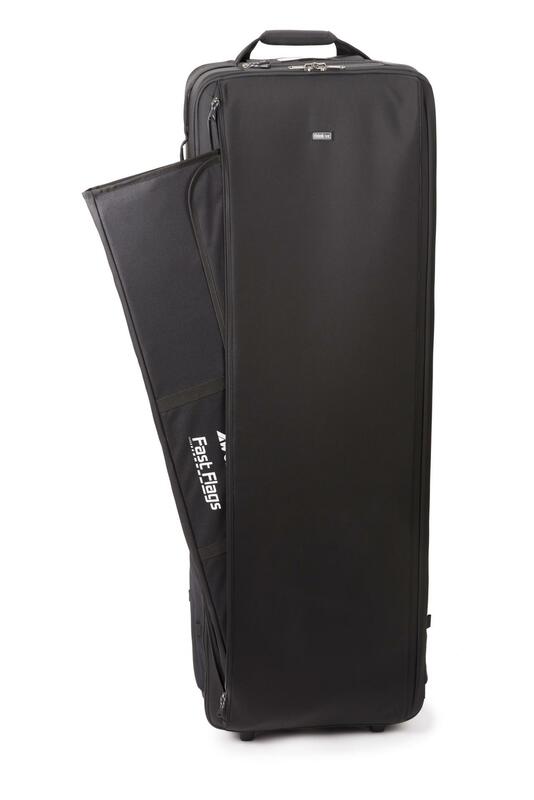 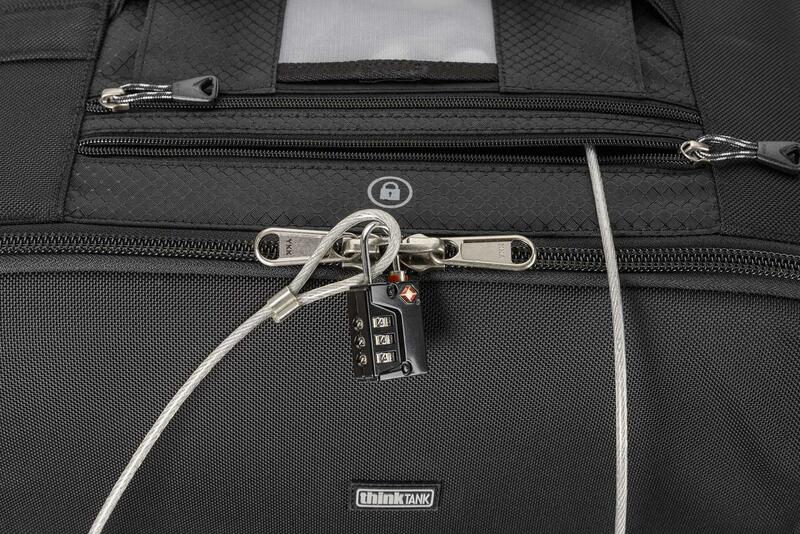 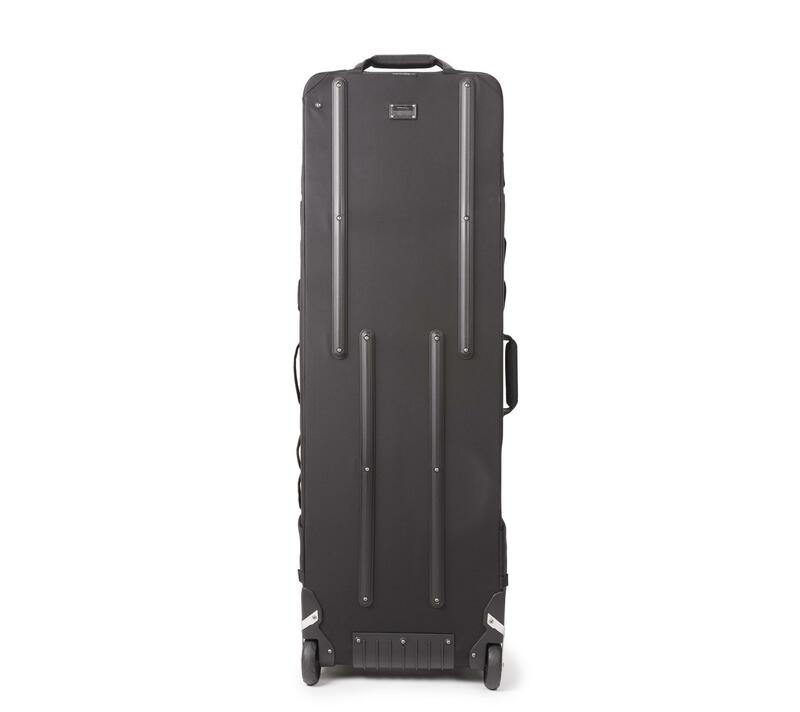 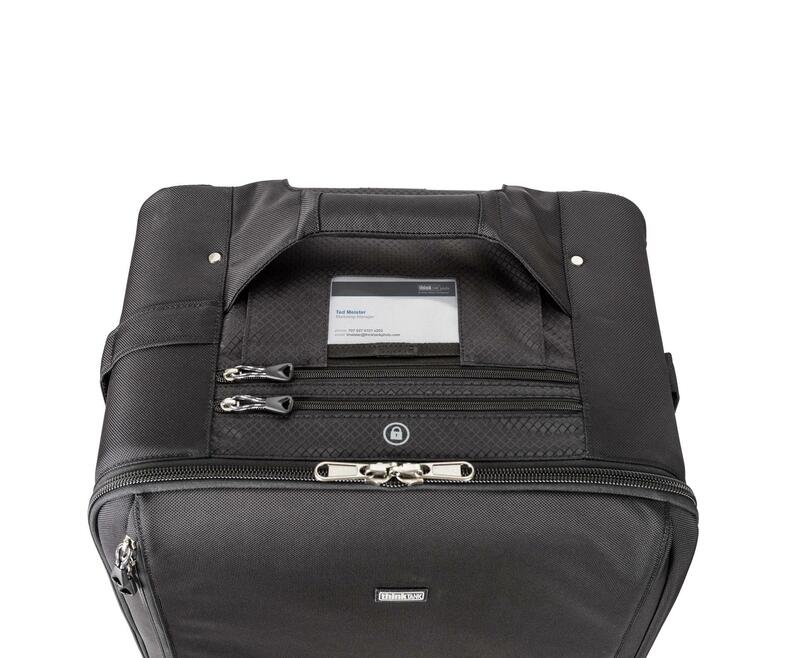 This large rolling bag features stabilizing, wide-set, shock-absorbing wheels that roll smoothly and hold up under the toughest conditions, the ability to lock the main compartment and secure the bag with the included lock and cable, and a fully customizable interior with dividers to protect small and large lighting equipment including c-stands and large modifiers. 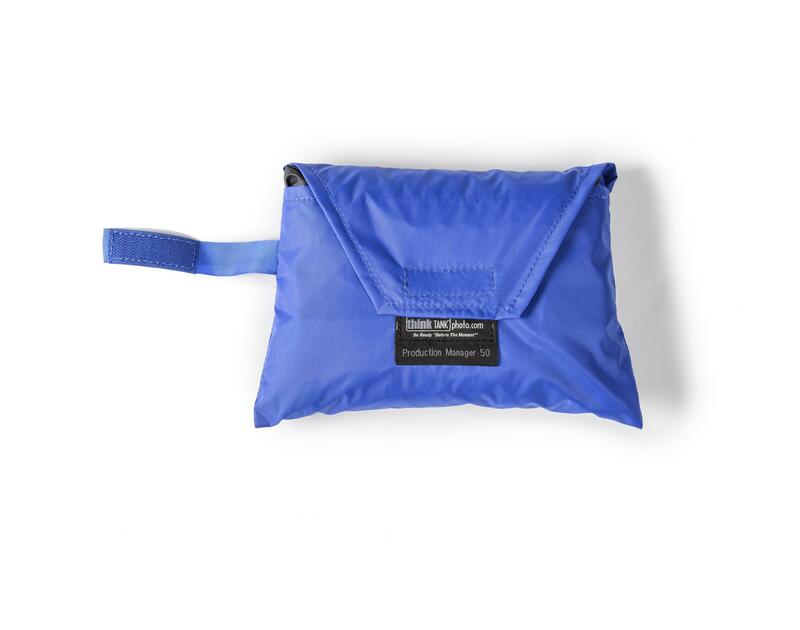 Large front zippered pocket for reflectors, umbrellas, extension cords, cables, etc. 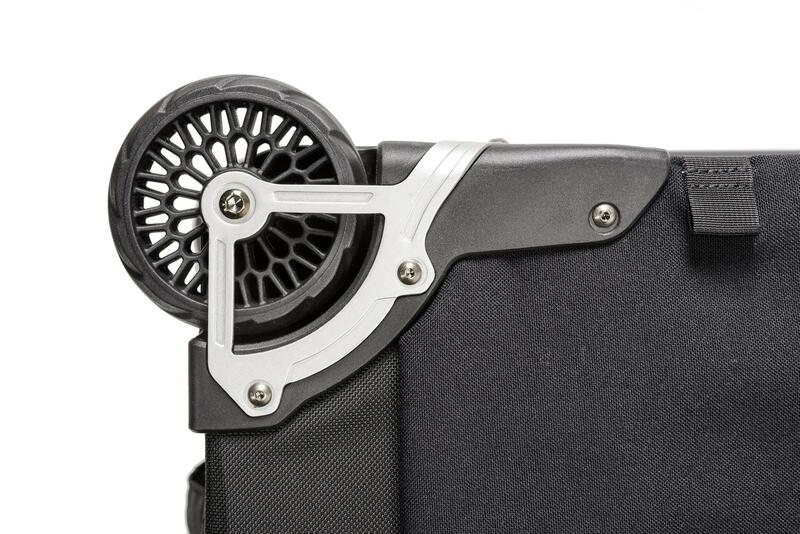 Ergonomic top handle for rolling or carrying by two people. 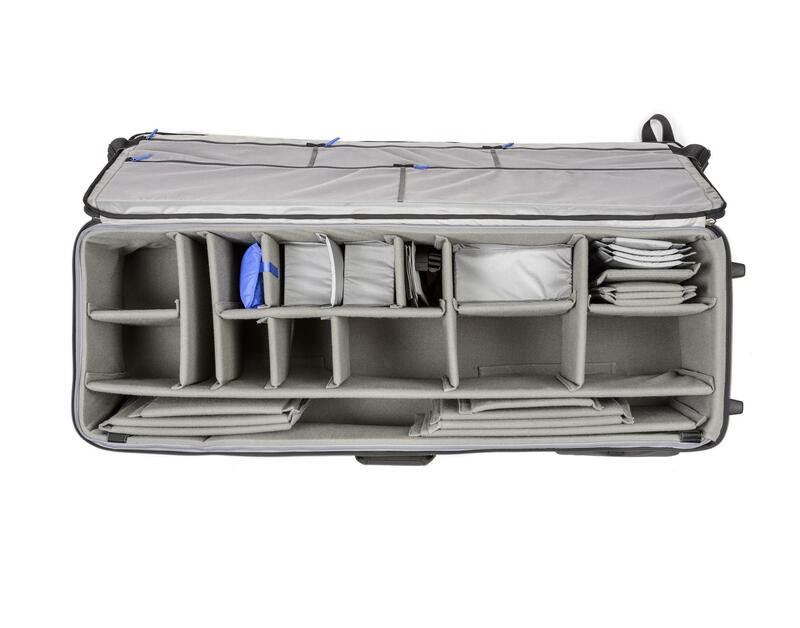 Velex wrapped dividers for extra durability and longevity.